Hello everyone, I’m a little slow getting this blog site updated for the new year, but I have some great plans in store for 2014. 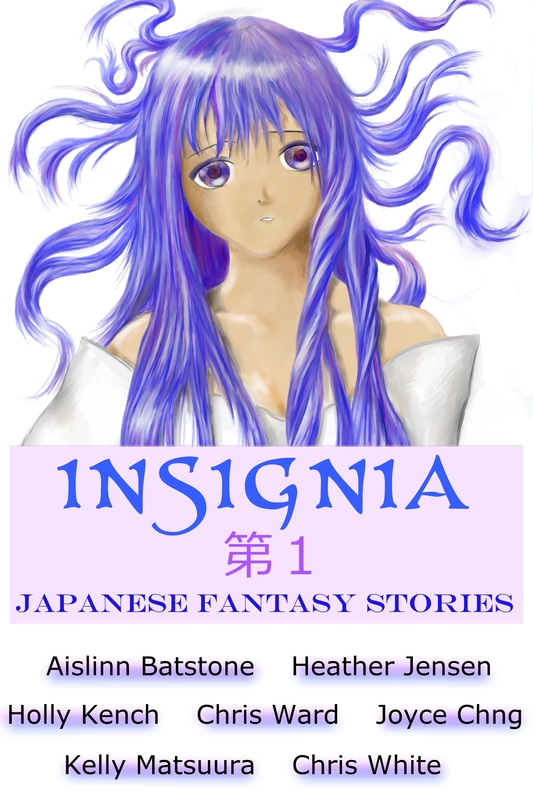 First piece of news is that Insignia: Japanese Fantasy Stories is now being distributed through Smashwords and it’s affiliated sites (Barnes & Noble, Kobo, etc). This means it can be purchased in any e-format, and also allows me to run more flexible promotions and offer discounts on Amazon sites as well. 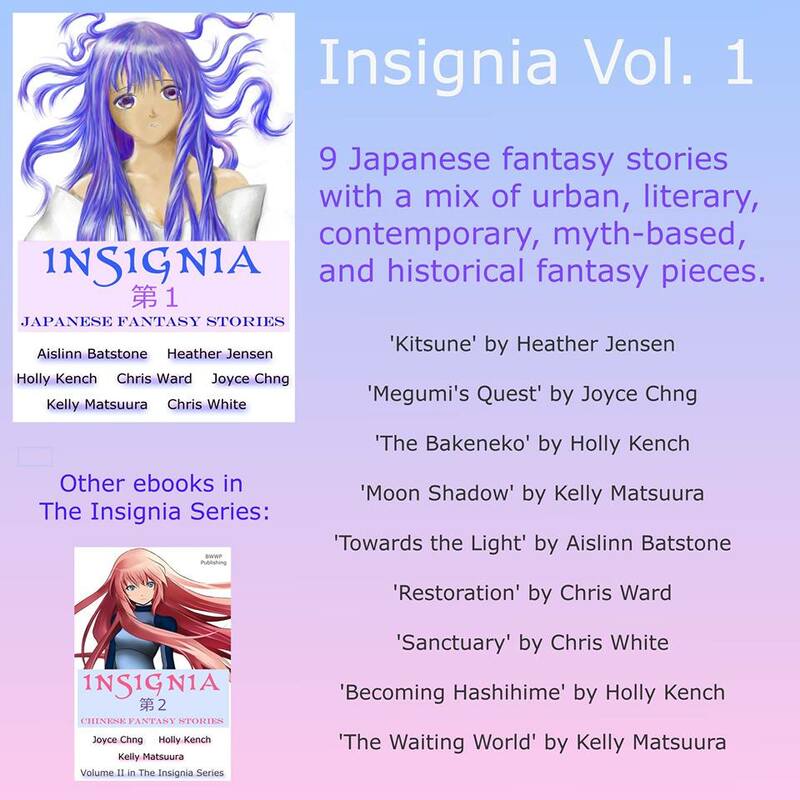 For details on the anthology and the new links, go to the Insignia Vol. 1 page. *Note, there are a few smaller book sites that haven’t added the anthology yet, but I will add the links as they become available. It’s my goal to publish two more Insignia anthologies this year. 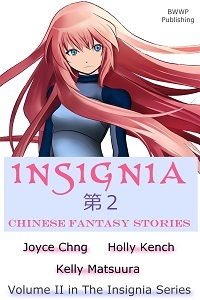 Volume 2 will be Chinese fantasy stories and should be available in late March or early April. I have several authors onboard so far, but am looking for a few more short story writers to contribute. If you’re a writer (or know a writer) with an interest in Asian fantasy and would like to be involved please leave a short comment and I’ll get in touch with more details. 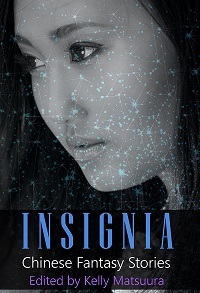 With the Insignia blog, I hope to keep it interesting with related content and not just promoting the anthology series, so from February I’ll be starting a Book of the Week post series. These posts will share a preview or review of a book featuring Asian main characters, settings, and/or mythology. Books chosen could be novels, novellas, or even short fiction that are available for sale. I will also chose books across a range of sub-genres and with a balance of YA and adult books. It might be tough to find a book every week for the whole year, so please let me know if you have a recommendation! Finally, I’d just like to thank the authors and readers who have promoted this site so far. It is my little ‘passion project’ that I love spending time on, but it won’t last without your support.